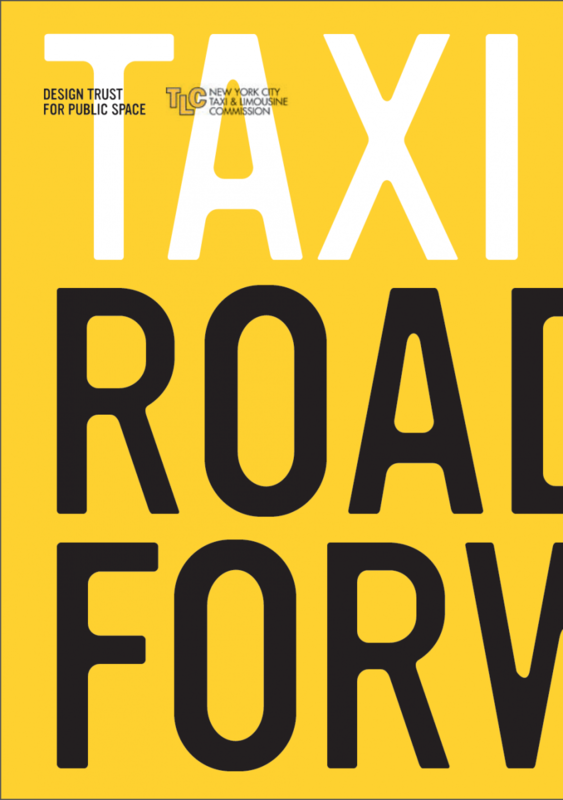 Taxi07: Roads Forward, the acclaimed and influential policy document, was published in 2007 by the Design Trust for Public Space with the New York Taxi and Limousine Commission, to mark the 100th anniversary of the yellow cab. 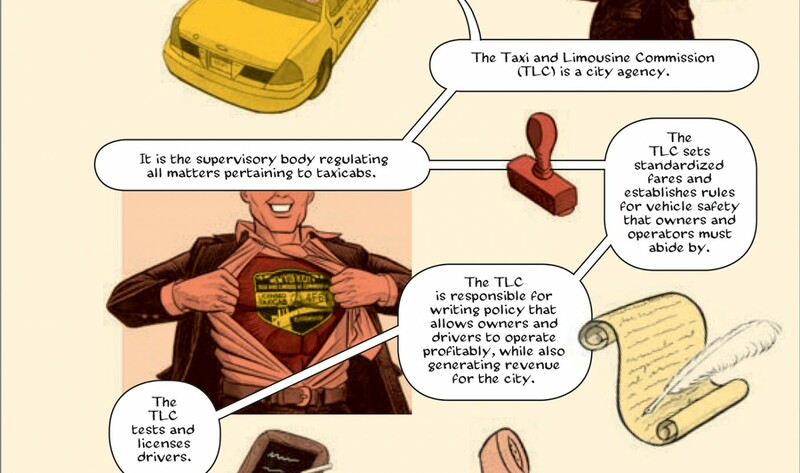 It’s 2007, cabs have been on New York streets for a century: How does the New York yellow cab industry work today? 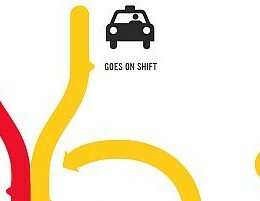 Looking ahead ten years, how much more efficient could the city’s cab services be? How might a ride generate more revenue? 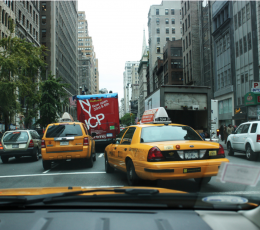 What would a greener yellow cab mean for the city’s air quality? How might regulation and innovation improve drivers’ comfort at work and passengers’ experience of a taxi trip? 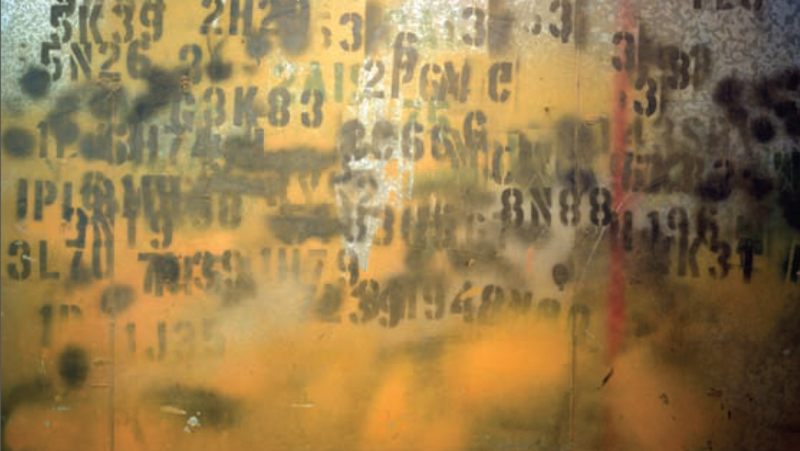 Framing and responding to these questions, Taxi07:Roads Forward, the acclaimed and influential policy document, was published in 2007 by the Design Trust for Public Space (DTPS) for the New York Taxi and Limousine Commission (TLC), for the yellow cab’s centennial. Photographs by Stewart Simons, graphic panels illustrated by Jason Little and information graphics by mgmt design brought the front section of the report to life, like no city bureaucrat had ever seen before. The report followed a design charette, Designing the Taxi, focused on vehicle design, hosted by DTPS in 2005. One of five Taxi07 fellows, Rachel co-researched, -wrote, -authored the report and -art directed its info graphics, GIS maps, comic strip-style user scenarios and documentary photos to reveal, contextualize and explain who runs and uses this complex, year round, urban service, and what the future of the industry might be over the next ten years from 2007. With her focus on tech-enabled service changes (cabs got GPS and the world got smartphones in early 2008) and clean vehicle technology, an overall user-centered approach put drivers as well as passengers at the center of the discussion, unprecedented for most government reports that tend to focus on systems and operational considerations; we articulated both. Various policy issues we addressed boiled down to whether the city considered the industry a market enterprise to be lightly regulated, or mass transit that is necessarily privately run. This pivotal question is the crux of today’s regulatory clashes in the industry, as nimbler private enterprises fill gaps in demand, while the traditional fleets pay tax dollars that maintain other public infrastructure. Suggestions for improving the vehicle also shaped the City’s original 2010 specifications for an environmentally friendlier, more inclusive and accessible Taxi of Tomorrow. 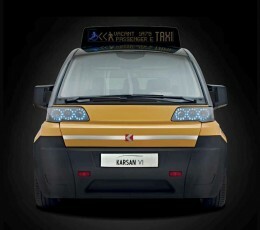 For more on that, read the Karsan case study here. The report even foretold how mobile apps would transform supply, demand and the service experience of riding cabs in New York City, implying that the City could regulate proactively for the technological disruption ahead. We stopped short of calling this coming cab revolution…Uber. The report was widely acclaimed by New Yorkers, designers, futurists, including The New York Times, The New York Times City blog, Design for Service, Made By Many, More Intelligent Life, Plot. Drawing from the report’s recommendations, the City has piloted and introduced ride-sharing, introduced green taxis for street-hailing in Brooklyn, Queens and upper Manhattan. 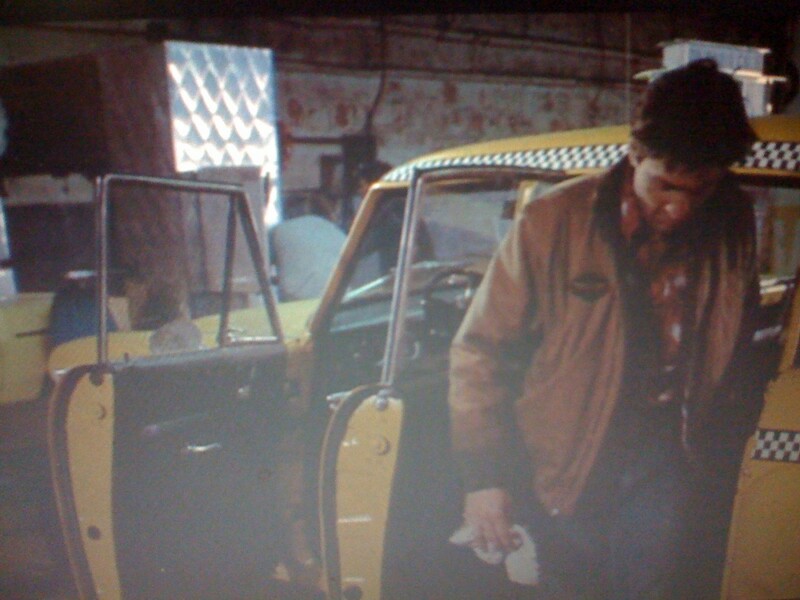 DeNiro's Travis Bickle, in Taxi Driver (1976), gave NY cabbies a bad name. The report aimed to raise their reputation. The report interviewed drivers, fleet owners and regulators and surveyed passengers. The report recommended that street hailing became legal in the outer boroughs. 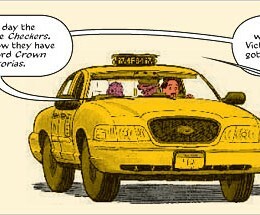 Green taxis were born. 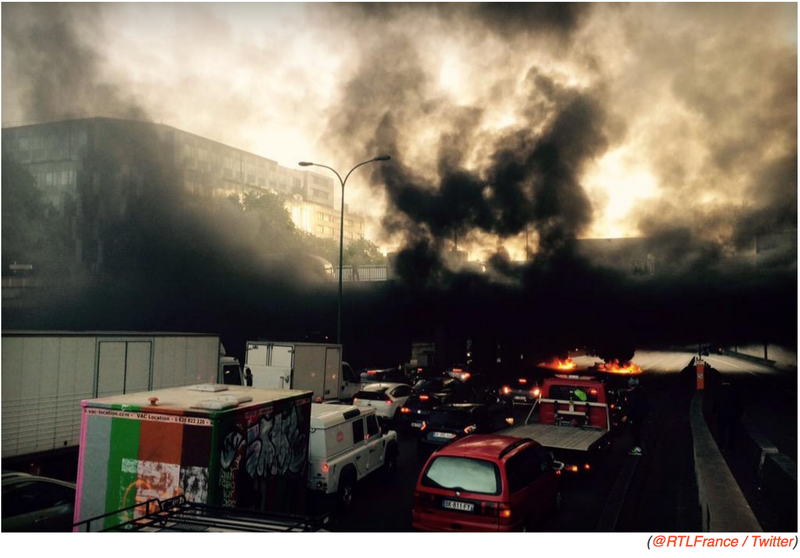 Cab drivers in Paris protest against Uber in 2015.